Karma is a series of hand-cut, transparent glass mosaic, inspired by the stained-glass windows of Gothic cathedrals. The materials are first formed by hand into large glass sheets, which then undergo an annealing process and are hand-cut into individual tiles. 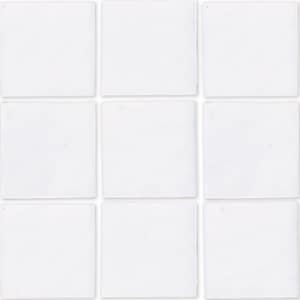 Karma tiles are through-body colored, in which pigments are mixed with molten glass, enabling the color to permeate throughout the body of the tile. 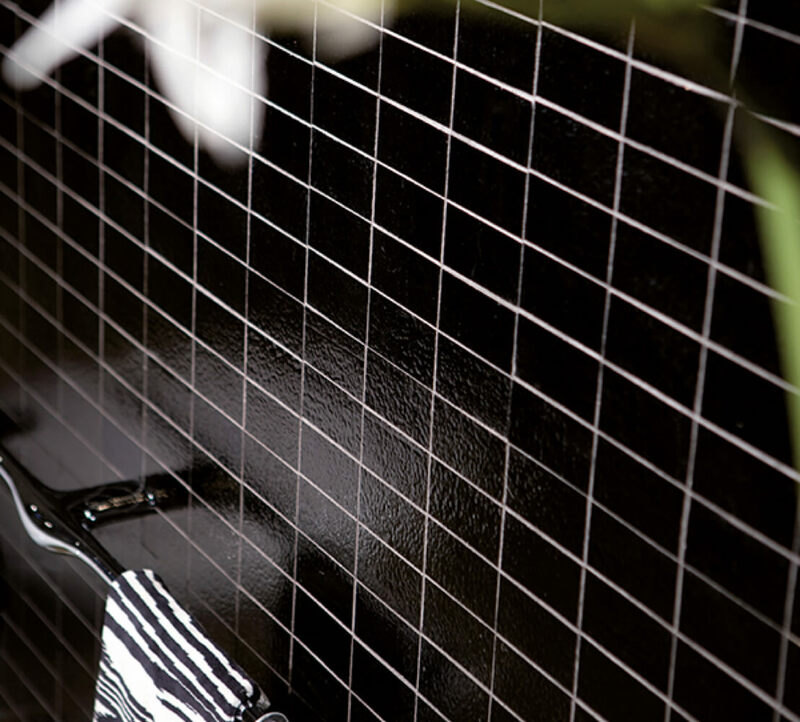 A metallic finish is applied to the reverse, resulting in a complex and reflective radiant tile. The Karma collection includes 40 standard colors, offered in various sizes. Material is comprised of up to 75% post-consumer recycled glass. 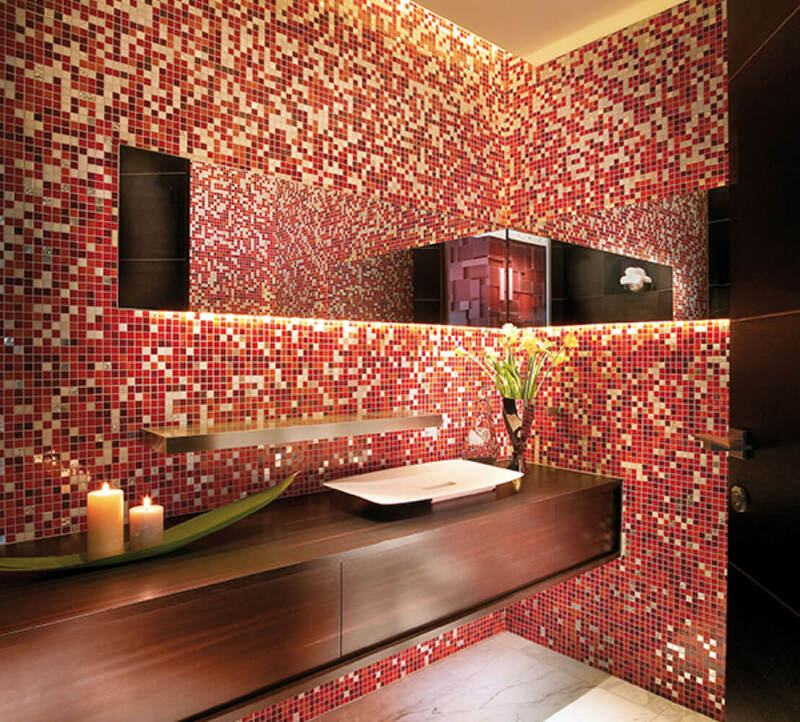 Karma is a series of hand-cut, transparent glass mosaic comprised of up to 75% post-consumer recycled glass. Measurements may vary slightly due to the hand cut character of the product. Colors may vary slightly by production lot.